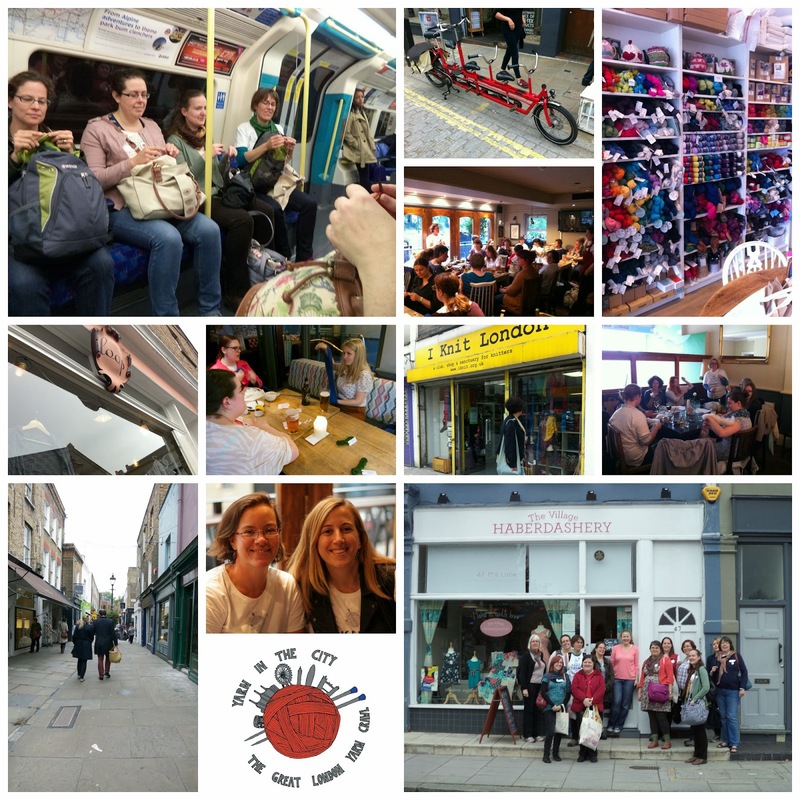 A big THANK YOU to all of you who made the Great London Yarn Crawl 2013 so amazing! We are finally recovered from the big event and we want to say THANK YOU! Thank you for your enthusiasm, your excitement, and your patience with inevitable hold ups and mini-crises that occured on the day. We are very pleased to share with you all that after our expenses were paid out (things like the volunteer t-shirts, goody bags, travelcards, Eventzilla fees, etc) we raised £305 for Refuge! Well done to all of you for being part of what we hope will become an annual event on the London knitterary calendar! We are now in the process of sending out thank yous to our lovely volunteers, the shops, and of course our generous sponsors, and we hope if you run into them too that you tell them how much you appreciate them supporting the GLYC. 1) Please let us know if you blogged about the event or see any other coverage of it elsewhere as we’d like to keep a record on our Social Media Shout-outs page on the GLYC website. We’ve got a few up now so check out what your fellow yarn crawlers have written about the day! 2) If you’ve got photos from the day, we’d love to see them! 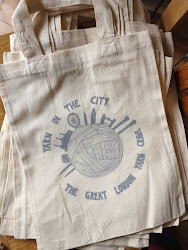 Please share them with our Great London Yarn Crawl group that we have going on Flickr. And thank you to those of you who have already uploaded a bunch of great pics! 3) We’ve gotten a bunch of great feedback from those of you who have filled out the survey already. If you haven't done the survey yet, please do - it's the best way to tell us what you thought went well, and what you thought needs work for next year's event. If you haven’t received the survey, please check in your spam filter in case it didn’t make it to your inbox. We’ve used the address you gave us when you purchased your tickets. PLEASE take the five minutes it takes to respond to the survey. We’ve already learned a lot from this first year but we know that with your input next year’s event can be even better! There are now threads on the Ravelry group for you to post pictures of your acquisitions on the day (yarn or otherwise! ), and your WIPs/FOs. We hope you'll share your projects - we'd love to see what you're working on!